He graduated from University of Warsaw Law and Administration Department in 1977. Between 1977 and 1979 he was a judicial apprentice at the District Court in Włocławek. In 1979 he passed the judicial bar exam. He was an assistant at the District Court in Włocławek between 1979 and 1982. In 1982 he became a judge at the same court until 1987. In years 1987-1988 he was a legal advisor of commercial companies. 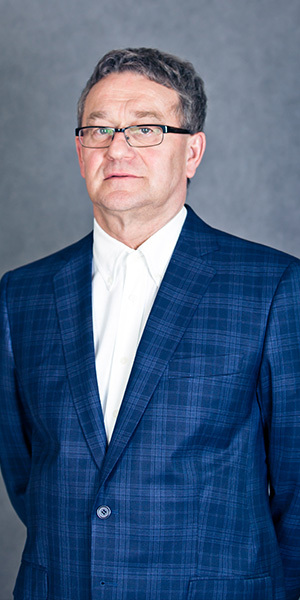 In 1989 he started his practice as attorney-at-law and opened individual law firm in Gostynin, Poland. In 1991, together with his wife Teresa, they started their own law firm in Włocławek. He is an experienced defender in criminal law cases as well as a commercial agreements negotiator.